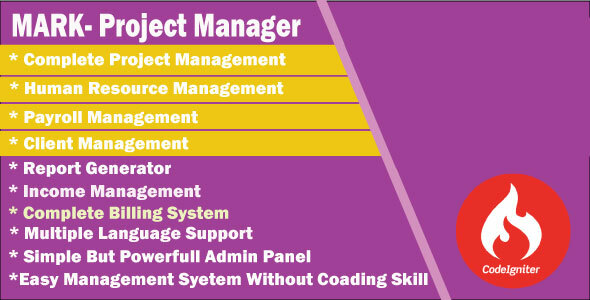 â€œMark â€“ Project Managerâ€ is a complete solution project management system for any company. You can easily manage your project by adding comments, attachment, tasks, milestone, bugs, private and public. You can easily set your goal for complete your project with start and end date. You can totally manage your project, client and staff using MARK â€“ Project Manager.